General objective of this report is to analysis different modes of Investment in EXIM Bank Limited, here main focus on export and import business. Report also analyze the position of investment during 2001-2007. EXIM Standard bank Ltd. invests comparatively a lot more funds in export in addition to import businesses. It has been operating its foreign change operation with great success and been able to make positive contribution for the economy of Bangladesh through virtue of its committed and expert personnel. EXIM Bank is accepted as specialized in Foreign Trade Operation. To apply theoretical knowledge in the practical field. To make a bridge between the theories and practical procedures of banking day-to-day operations. To know the different modes of Investment in EXIM Bank. To analyze the position of investment during 2001-2007. The study requires a systematic procedure from selection of the topic to preparation of the final report. To perform the study, the data sources were to be identified and collected, to be classified, analyzed, interpreted and presented in a systematic manner and key points were to be found out. The over all process of methodology has been given as below. Selection of the topic: The topic of the study was chosen in consultation with the honorable supervisors. While assigning the topic necessary recommendations and suggestions were provided by our honorable supervisors to make this internship report a well organized. Identifying data sources: Essential data sources, both primary and secondary data source, were identified that would be needed to carry on the study and complete this report. Information collected to furnish this report is both from primary and secondary sources. Relevant file study as provided by the concerned officers. Different circular issued by the head office and Bangladesh bank. Annual reports of EXIM Bank Ltd.
Official web site of the EXIM Bank Ltd.
Data Collection: Primary data were collected through direct and face to face interview of the different personnel of the EXIM Bank Ltd. Karwan Bazar Branch. Classification, analysis, interpretations and presentation of data: Some arithmetic and graphical tools are used in this report for analyzing the collected data and to classifying those to interpret them in a clear and understandable manner. Findings of the study: The collected data were scrutinized and were pointed out and shown as findings. Few recommendations are also made for improvement of the current situation. Final report preparation: On the basis of the suggestions of our honorable faculty advisors some corrections were made to present the paper in this form. AN OVERVIEW OF EXIM Bank Ltd.
EXIM Bank Limited was established in 1999 under the leadership of Late Mr. Shahjahan Kabir, founder chairman who had a long dream of floating a commercial bank which would contribute to the socio-economic development of our country. He had a long experience as a good banker. A group of highly qualified and successful entrepreneurs joined their hands with the founder chairman to materialize his dream. In deed, all of them proved themselves in their respective business as most successful star with their endeavor, intelligence, hard working and talent entrepreneurship. Among them, Mr. Nazrul Islam Mazumder became the honorable chairman after the demise of the honorable founder chairman. This bank starts functioning from 3rd August, 1999 with Mr. Alamgir Kabir, FCA as the advisor and Mr. Mohammad Lakiotullah as the Managing Director. Both of them have long experience in the financial sector of our country. By their pragmatic decision and management directives in the operational activities, this bank has earned a secured and distinctive position in the banking industry in terms of performance, growth, and excellent management. The bank has migrated all of its conventional banking operation into Shariah based Islami banking since July/2004. Of its very beginning, EXIM Bank Bangladesh limited was known as BEXIM Bank, which stands for Bangladesh Export Import Bank Limited. But for some legal constraints the bank renamed as EXIM Bank Ltd., which stands for Export Import Bank Of Bangladesh Limited. To be the most caring, customer friendly and service oriented bank. To create a technology based most efficient banking environment for its customers. To ensure sustainable growth and establish full value of the shareholders. Above all, to add effective contribution to the national economy. Fulfilling its social commitments by expanding its charitable and humanitarian activities. The gist of EXIM Bank vision is “Together Towards Tomorrow”. EXIM Bank Limited believes in togetherness with its customer, in its march on the road to growth and progress with services. To achieve the desired goal, there will be pursuit of excellence at all stages with a climate of continuous improvement, because, EXIM Bank believes the line of excellence is never ending. Bank’s strategic plans and networking will strengthen its competitive edge over others in rapidly changing competitive environment. Its Personalized quality service to the customers with the trend of constant improvement will be cornerstone to achieve our operational success. To receive, borrow or raise money through deposits, loan or otherwise and to give guarantees and indemnities in respect of all debts and contracts. To establish welfare oriented banking systems. To play a vital role in human development and employment generation to invest money in such manner as may vary from time to time. To carry on business of buying and selling currency, gold and other valuable assets. To extend counseling and advisory services to the borrowers/entrepreneurs etc. in utilizing credit facilities of the bank. To earn a normal profit for meeting the operational expenses, building of reserve and expansion of activities to cover wider geographical area. The EXIM Bank Limited started its voyage with an authorized Capital of Tk.1, 000 million while its initial Paid up Capital was Tk.225.00 million subscribed by the sponsors in the year 1999. The Capital and Reserve of the Bank as on December 31, 2007 stood at Tk.3, 111.68 million including paid up capital of Tk.1713.75 million. In the year 2007 the bank has issued right share to strengthen its capital base. In this course the bank has greater an amount of TK. 571.25 million. The bank also made provision on unclassified investments which is amounted to TK. 351.41 million. Capital structure of EXIM Bank has changed from year to year. The components of the capital structure are paid-up capital; proposed issue of dividend, share premium, statutory reserve, proposed cash dividend, retained earnings and other reserve. Deposit is one of the principal sources of fund for investment of commercial banks and investment of deposit is the main stream of revenue in banking business. The total deposit of the EXIM Bank Ltd. Stood at Tk. 35,032.02 million as on December 2007 against Tk.19,078.18 million of the previous year which is an increase of 48.44%. Considering the inherent desire of the religious Muslims, EXIM Bank has launched Islami Banking system and inaugurates two Islami Banking Branches in the year 2002. Export Import Bank of Bangladesh Limited is also the 1st bank in Bangladesh who has converted all of its operations of conventional banking into Shariah-based banking since July/2004. The Islami Banking branches perform their activities under the guidance and supervision of a body called “SHARIAH COUNCIL”. The Board of directors has formed a Sharia Supervisory Board for the Bank. Their duty is to monitor the entire Bank’s transactional procedures, & assuring its Sharia compliancy. This Board consists of the following members headed by its Chairman. The tasks of the Sharia supervisor in summary is replying to queries of the Bank’s administration, staff members, shareholders, depositors, & customers, follow up with the Sharia auditors and provide them with guidance, submitting reports & remarks to the Fatwa & Sharia Supervision Board and the administration, participating in the Bank’s training programs, participating in the supervision over the AlIqtisad AlIslami magazine, & handling the duty of being the General Secretary of the Board. SWIFT stands for Society for Worldwide Inter-Bank Financial Telecommunication. The SWIFT services helped the bank in sending and receiving the messages and instructions related to NOSTRO account operations and L/C related matters. EXIM Bank Ltd. has 11 of their Branches under SWIFT network. Other Branches will come under the network hopefully by the year 2006. 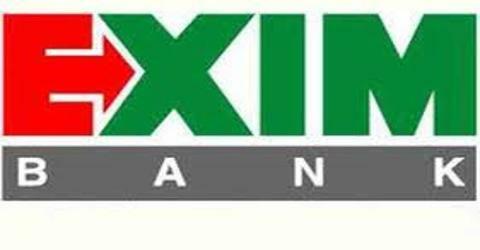 EXIM Bank Ltd. was incorporated as a public Limited company on the 2nd June 1999 under Company Act 1994. The Bank started commercial banking operations effective from 3rd August 1999. During this short span of time the Bank has been successful to position itself as a progressive and dynamic financial institution in the country. The Bank widely acclaimed by the business community, from small business/entrepreneurs to large traders and industrial conglomerates, including the top rated corporate borrowers from forward-looking business outlook and innovative financing solutions. The following financial products are available for the customers. The products are customers friendly and easy to use. The product mix is maintained in accordance with the need basis for the customers and profit generating for the banks as well. The Principle of lending is a collection of certain accepted time tested standards, which ensure the proper use of loan fund in a profitable way and its timely recovery. Different authors describe different principles for sound lending. Safety should get the prior importance in the time of sanctioning the loan. At the time of maturity the borrower may not will or may unable to pay the loan amount. Therefore, in the time of sanctioning the loan adequate securities should be taken from the borrowers to recover the loan. Banker should not sacrifice safety for profitability. The repaying capacity and willingness of the debtor to repay the loan with interest. EXIM Bank Ltd. is one of the most disciplined banks with a distinctive corporate culture. Here the bank believes in shared meaning, sheared understanding and sheared sense making. Banks people can see and understand events, activities, objects and situation in a distinctive way. They mould their manners and etiquette, character individuality to suit the purpose of the bank and the need of the customers who are of paramount importance to the banks. The people in the banks see themselves as a tight knit team that believes in working together for growth. The corporate culture they belong has not been imposed; it has rather been achieved though their corporate conduct. Banker should consider the liquidity of the loan in time of sanctioning it. Liquidity is necessary to meet the consumer need. Banker should be careful in the selection of security to maintain the safety of the loan. Banker should properly evaluate the proper value of the security. If the estimated value is less than or equal to loan amount, the loan should be given against such securities. The more the cash near item the good the security, In the time of valuing the security, the Banker should be more conservative. Banker should minimize the portfolio risk by putting its fund in the different fields. If Bank put its entire loan able fund in one sector it will increase the risk. Banker should distribute its loan able fund in different sectors. So if it faces any problem in any sector it can be covered by the profit of another sector. Application Applicant applies for the loan in the prescribed form of the bank describing the types and purpose of loan. A loan Account is opened. Where customer A/C-————————Dr. The specific feature of the investment policy of EXIM Bank is to invest based on Musaraka mode, Bai mode & Rent-sharing mode in accordance with the tenets and principles of Islamic Shariah. The term Shirkat and Musaraka have been derived from Arabic words “Shairkah” and “Sharika”. The word Shirkah means a partnership between more than one partner. Thus the word “Musaraka” and “Shirkat” means a partnership established between two or more partners for purpose of a commercial venture participate both in the capital and management where the profit may be shared between the partner as per agreed upon ratio and the loss, if any hey incurred, is to be borne by the partners as per capital ratio. In case of investment “Musaraka” meaning a partnership between the bank and the client for a particular business in which both the bank and client provide capital at an agreed upon ratio and bear the loss, if any in proportion to their respective equity. Bank may more itself with the selected client for conductory any Shariah permissible business under Musaraka mode. Bai-Murabaha defined as a contract between a buyer and seller under which the sells certain specific goods (permissible under Islamic Shariah and the law of the land) to the buyer at a cost plus agreed profit payable in cash or an any fixed future data in limp sum or by installments. The market up profit may be fixed in lump sum or in percentage of the cost price of the goods. Bai-Muazzal defined as a contract between a buyer and seller under which the seller sells certain specific goods permissible under Islamic Shariah and Law of the country to the buyer at an agreed fixed price payable at a certain fixed future date in lump sum or within a fixed period by him as per order and specification of the buyer. Bai-Salam defined as a contract between a buyer and a seller under which the seller in advance in the certain commodity / products permissible under Islamic Shariah and the law of the land to the buyer at an agreed price payable on execution of the said contract and the commodity products to the buyer at a future time in exchange of an advance price fully paid on the spot. Istishna’a is a contract between a manufacturer / seller and a buyer under which the manufacturer / seller sells specific products after having manufactured, permissible under Islamic Shariah and law of the country after having manufactured at an agreed price payable in advance or by installments within a fixed period or on / within a fixed future date on the basis of the order placed by the buyer. It is a contract under which the EXIM Bank finances equipment building or other facility for the client against an agreed rental together with an undertaking from the client to purchase the equipment or the facility. The rental as well as the purchase price is fixed in such a manner that the bank gets back its principal sum along with some profit which is usually determined in advance. Hire purchase under shirkatul melk is a special type of contract that has been developed through practice shirkat means partnership. Shirkatul melk means share in ownership. When two or more persons supply equity, purchase an asset, own the same jointly and share the benefit as per agreement and bear the loss in proportion to their respective equity, the contract is called shirkatul melk contract. To invest fund strictly in accordance with the principle of Islamic Shariah. To diversity its investment portfolio by size of investment portfolio by sector (Public and Private) by economic purpose by securities and by geographical area including industrial, commercial & agricultural. To ensure mutual benefit both for the bank and the investment client by professional approach of investment proposals, judicious sanction of investment, close and constant supervision and monitoring thereof. To make investment keeping to socio economic requirement of the country in view. To increase the number of potential investors by making participatory and productive investment. To finance various development schemes for poverty alleviation, income and employment generation with a view to accelerate sustainable socio-economic growth and enlistment of the society. To invest in the form of goods and commodities rather than give out cash money to the investment clients. Strict observance of Islamic Shariah principles. Investment to national priority sectors. Diversified investment portfolio: Diversification by size, sector, geographical area, economic purpose, securities and mode of investment. Preference to investment of small size. To ensure safety & security of investment. To give support to government denationalization industrial program. Up to 50 Lakh, A branch manager can sanction a loan but more than that he/she should follow the above investment criteria. The acceptable limit of these criteria is not below the 75% score. The EXIM Bank has different types of risk, financial risk, business risk, management risk, security risk & relationship risk. The EXIM Bank emphasize to the financial risk which weight is 50%. In case of financial risk, there are four types of ratio are calculated such as debt equity ratio, liquidity ratio, profitability ratio, & coverage ratio. All calculation of financial risk should be based on Annual financial statement of the borrowed (Audited preferred). After the financial risk, EXIM Bank emphasize in business/industry risk which weight is 18%. In the industry risk includes size of the business, age of business, business outlook, industry growth, market competition, entry/exit barrier. The size of the business measured by the most recent year’s total sales, age of business is related to primary line of business, and rest of the elements of industry risk based on subjective judgment. The 3rd criterion is based on the management risk which weight is 12%. The element of management risk is experience, succession & team work. Experience is judge on the basis of number of work experience & team work is the subjective judgment. The 4th criteria are based on the security risk which weight is 10%. In the saving risk includes, savings coverage, collateral coverage & support, the last investment criteria is relationship risk which weight is 10%. In the relationship risk includes account conduct, utilization of limit, compliance of conditions & present deposit. In case of account conduct whose accounts are operated more than 3 years get preference. Relationship risk depends on the maintaining relationship between the EXIM Bank and the borrower. The EXIM Bank gives more emphasis to the financial risk because; it could be made objective judgment. As all the total 100 score are not based on objective judgment. The EXIM Bank needs some subjective judgment. By this objective & subjective judgment the EXIM Bank prepare a score sheet. Year EXIM Bank authority imposed an investment target to the concern branches. So, a branch manager tries to achieve this target by Advertisement, Profit Sharing mode investment opportunity, people who want to do business Islamic Shariah they come to the bank for investment. Although the total investment of the EXIM Bank gradually increased but the growth rate of investment was decreased from year to year. Murabaha Post Import (MPI) – Investment allowed for retirement of shipping documents and release of goods imported through L/C taking effective control over the goods by pledge in go down under banker lock & key fall under this type of investment. In 2005, highest investment was made than the other years which were Tk 1715516528. In 2006, investment in MPI was Tk 916484351. Payment made by the bank against lodgment of shipping documents of goods imported through L/C fall under Murabaha Import Bills (MIB). In 2003, MIB investment was Tk 680109953 but after that year it was drastically fall approximately in half which was Tk 736137278 in 2004 and Tk 820359402 in 2005 and Tk 1101741435 in 2006. Financial accommodations to individual/firm for trading as well as for wholesale industries as working capital against pledge of goods as primary security fall under Bai-Murabaha. EXIM Bank invested in Murabaha Tk 748679731 in 2005 but which was reduced to Tk 722368294 in 2006. Investment allowed to individual/firms against financial obligation is included in Bai-Muazzel. From the EXIM bank starting, it was made highest percentage of total investment in Bai-Muazzel which was Tk 101432145516 in 2006. Loan against smart saver are fall under Wazirat Bill Wakala. In 2004, Tk 1724423879 investment was made by the EXIM Bank is Wazirat bill wakala but which was reduced to Tk 692385258 in 2005 but which was increased to Tk 1305070297 in 2006. Izara Bill Baia includes short term, medium term & long term investments allowed to individual/firm/industries for a specific purpose but for a definite period and generally repayable by installments. From the Banks inauguration, it was made highest percentage total investment in Izara Bill Baia. In 2006, Tk 11384366119 investment in Izara Bill Baia which was highest percentage than other mode of investment. Loan without interest are fall under this Quard. As it is not profitable, so EXIM Bank did not make investment in highest percentage which was Tk 511626714 in 2006. Investment allowed for retirement of shipping documents and release of goods imported through L/C fall under Trust Receipt (T.R) which was Tk 4482377446 in 2006. From the above discussion it can be said that Bai-Muazzal & Izara Bill Baia were the highest percentage of total investment and Quard was the lowest percentage of total investment. Sector wise investment shows that EXIM Bank emphasizes to the trade & industry sector. Proportions of investment in industrial sector were gradually increases from 2004 which was Tk 2829479000 to Tk 8728072540 in 2005. Commercial Investment in this sector there is no investment opportunity before 2005. Export Financing sector which was Tk 5107376590 in 2006. House Building Investment sector was increasing which was Tk 1496590772 in 2006 than the year 2003 & 2004 which was Tk 438426170 & Tk 702409000 respectively. Transport & Communication sectors were almost equal all over the year from its starting which was Tk 698761984 in 2006. After 2004 EXIM Bank invest in Small & Medium Enterprise sector. EXIM Bank invest in this sector in 2006 which was Tk 3817755582. EXIM Bank gave less emphasis in case of House Building sector which was Tk 1496590772 in 2006. Although total percentage of investment are lowest in case of sect oral investment but total amount of investment are increased. The EXIM Bank provide less emphasize to the House Building sector became most of the branch of EXIM Bank are not provide lone in House Building sector. The EXIM Bank makes major portion of investment in Dhaka Division which was Tk 25489564779 in 2006 as against Tk 19597306382 in 2005. The main reasons of large investment in this division because of most of the branch of EXIM Bank are situated in Dhaka Division. Investment in Chittagong Division are gradually increases which was Tk. 6581339406 in 2006 as against Tk. 6105474924 in 2005. There is no investment opportunity in Rajshahi Division before 2004. Also Khulna Division before 2005. In Rajshahi Division investment was Tk 248893341 in 2006 which was Tk 149246804 in 2005. Khulna division investment increases which was Tk 132508178 in 2006 as against Tk 72044501 in 2005. Past due principal of profit payments parts due trade bills, account excesses and branch of investment covenants. Investment terms and conditions are monitored, financial statement is received on a regular basis and any covenant branches or exceptions are referred to CRM and the RM team for timely follow up. Timely corrective action is taken to address findings of any internal, external or regular inspection/audit. Computer systems must be able to produce the above information for central/head office of well as local review. Where automated systems are not available, a manual process should have the capability to produce accurate exception reports. Several problems, weaknesses, strengths and threats are found through SWOT analysis of EXIM Bank. SWOT analysis is the detailed study of an organization’s exposure and potential in perspective of its strengths, weakness, opportunity and threat. This facilitates the organization to make their existing line of performance and also foresee the future to improve their performance in comparison to their competitors. As though this tool, an organization can also study its current position, it can also be considered as an important tool for making changes in the strategic management of the organization. EXIM Bank limited has already established a favorable reputation in the banking industry of the country. It is one of the leading private sector commercial banks in Bangladesh. The bank has already shown a tremendous growth in the profits and deposits sector. EXIM Bank has provided its banking service with a top leadership and management position. The Board of Directors headed by its Chairman Mr. Md. Nazrul Islam is a skilled person in the business world. Alamgir kabir, the advisor of the Bank is a reputed senior chartered accountant 30 years vast experience in accounts, audit, finance and banking at home and abroad. Mr. Mohammed Lakiotullah work as the managing director of the bank management team. The top management officials have all worked in reputed banks and their years of banking experience, skill, and expertise will continue to contribute towards further expansion of the bank. EXIM Bank limited has already achieved a high growth rate accompanied by an impressive profit growth rate in 2001. The number of deposits and the loans and advances are also increasing rapidly. EXIM Bank has an interactive corporate culture. The working environment is very friendly, interactive and informal. And, there are no hidden barriers or boundaries while, communicate between the superior and the employees. This corporate culture provides as a great motivation factor among the employees. EXIM Bank has the reputation of being the provider of good quality services too its potential customers. The main important thing is that the bank has no clear mission statement and strategic plan. The banks not have any long-term strategies of whether it wants to focus on retail banking or become a corporate bank. The path of the future should be determined now with a strong feasible strategic plan. The bank failed to provide a strong quality-recruitment policy in the lower and some mid level position. As a result the services of the bank seem to be dues in the present days. The poor service quality has become a major problem for the bank. The quality of the service at EXIM Bank is higher than the Dhaka bank, Prime bank or Dutch Bangla bank etc. But the bank has to compete with the multinational Bank located here. Some of the job in EXIM Bank has no growth or advancement path. So lack of motivation exists in persons filling those positions. This is a weakness of EXIM Bank that it is having a group of unsatisfied employee. In terms of promotional sector, EXIM Bank has to more emphasize on that they have to follow aggressive marketing campaign. In order to reduce the business risk, EXIM Bank has to expand their business portfolio. The management can consider options of starting merchant banking or diversify into leasing and insurance sector. The activity in the secondary financial market has direct impact on the primary financial market. Banks operate in the primary financial market. Investment in the secondary market governs the national economic activity. Activity in the national economy controls the business of the bank. Opportunities in the retail banking lies in the fact that the country’s increased population is gradually learning to adopt consumer finance. The bulk of our population is middle Class. Different types of retail lending products have great appeal to this class. So a wide variety of retail lending products has a very large and easily pregnable market. A large number of private banks are coming into the market in the recent time. In this competitive environment EXIM Bank must expand its product line to enhance its sustainable competitive advantage. In the product line, they can introduce the ATM to compete with the local and the foreign bank. They can introduce credit card and debit card system for their potential customer. In addition to those things, EXIM Bank can introduce special corporate scheme for the corporate customer or officer who have an income level higher from the service holder. At the same time, they can introduce scheme or loan for various service holders. And the scheme should be separate according to the professions, such as engineers, lawyers, doctors etc. All sustain multinational banks and upcoming foreign, private banks posse’s enormous threats to EXIM Bank limited. If that happens the intensity of competition will rise further and banks will have to develop strategies to compete against at on slough of foreign the banks. The default risks of all terms of loan have to be minimizing in order to sustain in the financial market. Because default risk leads the organization towards to bankrupt. EXIM Bank has to remain vigilant about this problem so that proactive strategies are taken to minimize this problem if not elimination. The low compensation packages of the employees from mid level to lower level to position threats the employee motivation. As a result, good quality employees leave the organization as a whole. Political influence is one of the major problems in Bangladesh. Due to political intervention the bank becomes obliged to provide loans in most of the cases, which are rarely recovered. Bank has to face this in convenience situation almost every year. Sometimes the employee to unlawfully help the client deliberately overvalues the securities taken against the loan. As a result if the client fails to repay the loan the bank authority cannot collect even the principal money invested by the selling those assets. It is also a very important factor that leads to loan default. CIB report is not readily available from Bangladesh Bank. Loan recovery process is very complex. The bank is not still technologically updated. There are no online banking facilities; the bank should have its own data communication facilities for better customer service and security. The working procedure of the bank along with the office setup could be more organized. Efficient work force along with proper division of work is vital for the success of any bank, EXIM Bank has the scope to consider this factor to enhance and sustain it growth. The bank wholly converted in to Islami banking system during the year 2004, so there is scope to promote this new banking system, by making people aware of these new banking phenomena. There is scope to introduce the most modern customer services like: ATM, Credit card, Debit card, etc. Since the works are done mostly manually, the investment section takes long time to process loans. Foreign exchange department could provide better service through computerization of all its operations. EXIM bank has converted all of their system and policy of traditional banking to Islamic Banking and is now a Shariah Based Islami Bank. EXIM Bank Ltd has emerged itself as one of the most disciplined and promising banks in the commercial banking sector in Bangladesh under the active supervision of its competent management team led by Mr. Mohammed Lakiotullah. In this competitive market EXIM Bank Ltd. competes not only with the others commercial banks but also with the public Bank sector banks and has been able to throw in more positive contributing towards economic development of Bangladesh as compared to other banks. EXIM Bank Ltd. invests comparatively more funds in export and import businesses. It has been operating its foreign exchange operation with great success and been able to make positive contribution to the economy of Bangladesh by virtue of its devoted and expert personnel. EXIM Bank Ltd is considered to be specialized in Foreign Exchange Operation. That is exactly why with in a very short period of time, EXIM Bank Ltd. has positioned itself one of the leading bank in Bangladesh. To the gateway to practical professional life, an experience at EXIM Bank Limited as an intern was a privilege for me. EXIM Bank Ltd. does offer a real practical orientation to the new comers with typical corporate culture. This three months internship orientation with EXIM Bank Ltd. undoubtedly will help me a lot to understand and cope with any future typical corporate culture. Try to avoid giving loan the political person who had bad reputation of loan repaying. Bangladesh Bank should more active to provide CIB report. Make easier loan recovery process. The bank should consider the issue of better customer service more sincerely, and in this regard it may introduce various customer-oriented services, should automate the operations and introduce online banking facilities. The bank should consider the system of introducer and other lengthy procedure of opening and maintaining accounts. Computerization of the overall system will help in correcting any error in a better way and also this would be a good source to detect any fraud and forgery. The bank should ensure fare and quality recruitment process, as well as proper training facilities for its recruited and existing employees; this will work in multiple ways to promote the overall performance of the bank. As the way of promotion the bank may carryout various social welfare activities, through the EXIM Bank Foundation. The bank should provide online banking and various other specialized services, which will turn it in to a leading banking company in the country. Training program should be taken more seriously and more often. Officers should be sent for training for betterment of service. In the credit department, strict supervision is necessary to avoid loan defaulters, the bank official should do regular visit to the project. It may be a fair deal if the high-risk borrowers and the low risk borrowers should not have to pay the same interest rate. Interest rate could be arranged according to the sum they borrow. General Banking System Dutch-Bangla Bank Limited.